If you know Freshly Picked, you are probably wondering why I am writing a 'Handmade Shop' feature on such a major company. Yes, they were on Shark Tank and yes, they are carried by Nordstrom but did you know that, while frustrated by the lack of well-designed baby shoes, Susan Peterson started the company in 2009 with $200 she made from recycling window frames and a bag of scrap leather that she bought at a yard sale? The Freshly Picked success story is one of the best within the handmade world and I have great admiration for the way Susan has grown her business. 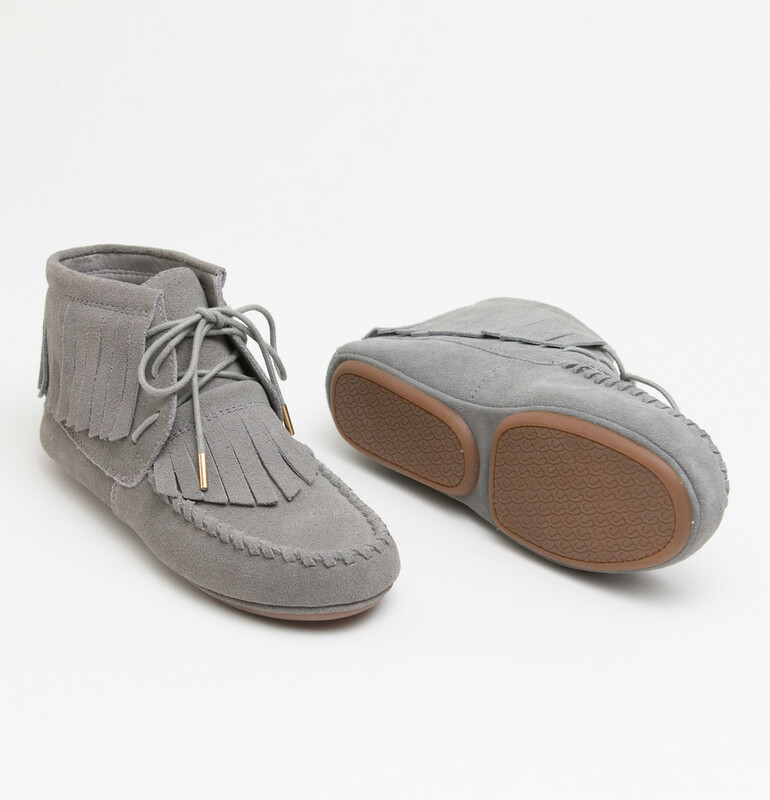 But let's talk about what I love the most about Freshly Picked...the moccasins! The softest leather, most stylish colors/patterns, and superior quality make their moccs the hands-down best baby and toddler shoe. Our littlest lady has moved on to her third pair (With Cream and Sugar) after wearing her beloved Coral pair for 10 months. No other shoe will hangout with your little one for ten-whole-months. 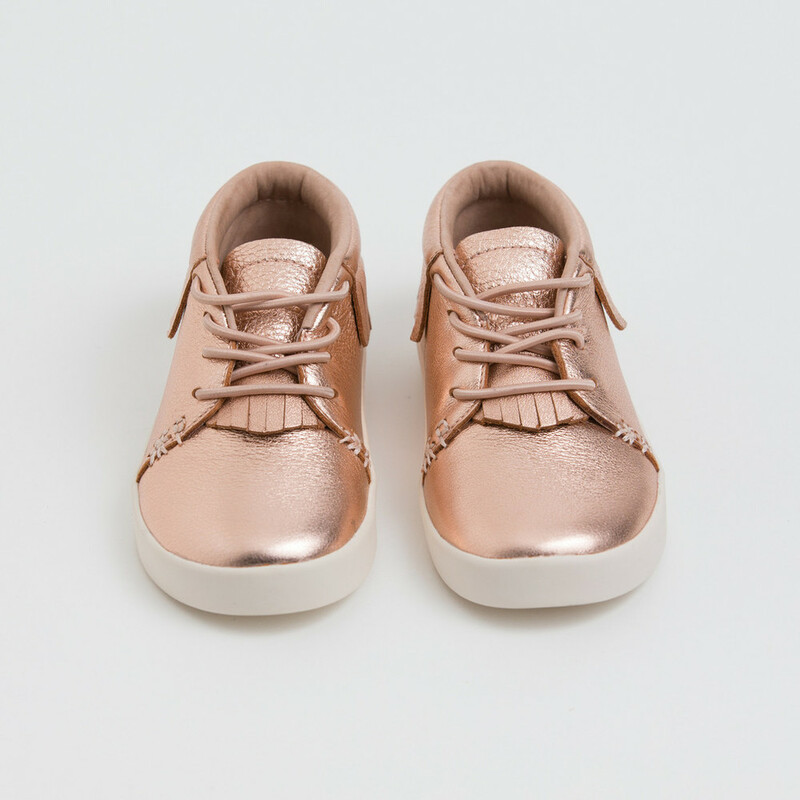 The moccs stay on little feet even when the fit is a bit big and as they wear them, the leather stretches + expands to accommodate a growing foot. The sentimental Mama in me, loves how the bottom of the moccasins are little memory collectors. Parker learned to walk in her chrome moccs and found her toddler independence wearing her coral ones. "For every step", most definitely! Back to the business, what Susan and her team have done with product design, collaborations, and expansion is truly a case study in small business success. 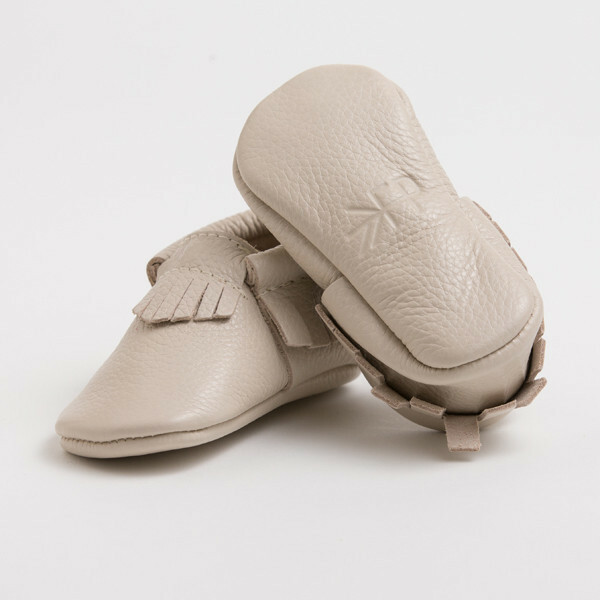 In addition to their soft sole moccasins, they recently added a hard sole version (there is a pair under our tree for a certain almost-5-year-old!) 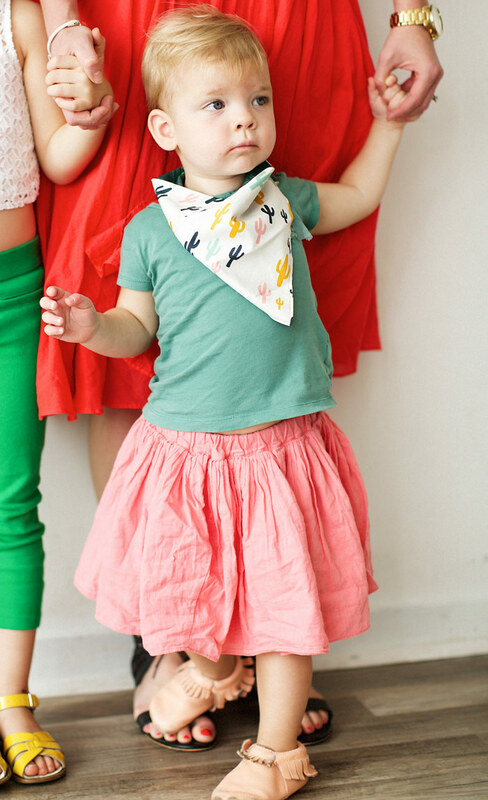 and collaborated with Yosisamra to create a mocc for Mama (added to my wish list!). Now...to the fun part, I've teamed up with Freshly Picked to give you a chance to win a pair of soft sole moccasins (winner chooses size and color) just in time for holiday gift giving! Head over to my Instagram for all the entry details. Giveaway closes on Friday, December 11th.